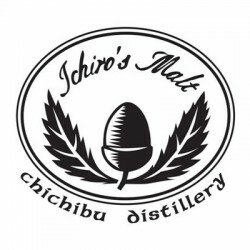 Chichibu distillery is a rising star in the market. The owner, Mr. Ichiro, is the heir of Akuto family which established a famous distillery Hanyu. Mr. Ichiro acquired all stocks of Hanyu after Hanyu closed and soon established his own distillery Chichibu in 2008. Chichibu whisky is highly praised by connoisseurs. You won’t believe such an excellent whisky is such young and coming from a new Japanese distillery. 秩父 Chichibu The US Edition 2018這瓶特地為美國市場推出的 The US Edition 2018 由 6 個木桶勾兌而成，5 個為波本桶，最後 1 個（#1460）則是加..
秩父 Ichiro's Malt & Grain - World Blended Whisky..
秩父蒸餾所是由創辦人肥土伊知郎的 Ventury Whisky 所持有，他同時是羽生蒸餾所創辦人的孫子。蒸餾所由 2008 年起開始運作，透過當地氣候及風土釀造出別具一格的麥芽威士忌，同時亦有為羽生蒸..
Ichiro's Malt & Grain Hasegawa Yaechika 50th Anniversary Cask 4084..
Chichibu 2011 Peated 60th Anniversary LMdW Cask 1401..
Chichibu 2011 for LMdW Cask 3303..
Chichibu 2010 Bourbon Barrel 60th Anniversary LMdW Cask 663..
Chichibu 2010 Isetan Cask 755..
Ichiro's Malt & Grain Takashimaya Blend..